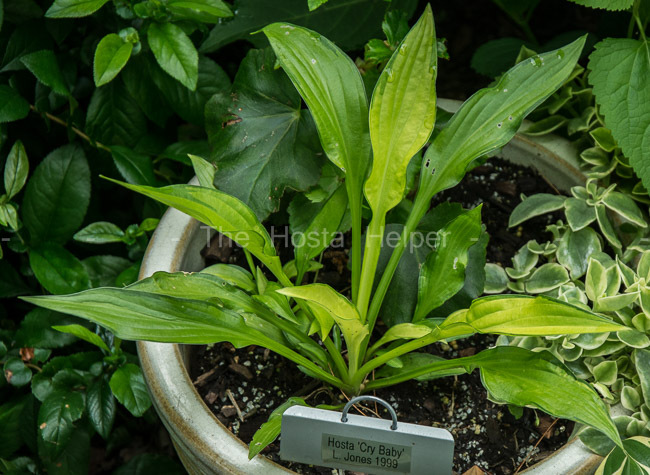 This seedling of H. sieboldii 'Anne Arett' was registered by Dr. Leonard Jones of North Carolina in 1999. It forms a small size, flat mound of elliptic, slightly wavy foliage that has thin substance. The leaves are moderately shiny on the underside but dull on top. It bears medium purple flowers in July. Seedlings include H. 'Scaredy Cat'.